Many of the individuals I work with will lie. While some of the lies aren’t hurtful, thes are still lies. It usually involves responsibility or getting out of a situation, but the facts don’t line up with the story. Why is this you might ask? Let’s start at the beginning. Having ADD and ADHD is a challenge. We’re dealing with a lot of personal, professional and academic struggles. 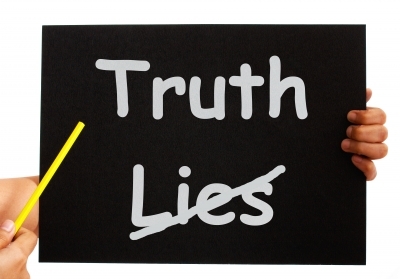 It impacts our lives and there’s times when we feel that there are few options, so lying seems to be our best option. It provides instant gratification to a situation that can become worse. What we fail to realize that it will lead to much bigger and worse consequences down the road. Think of it as us ADD/ADHD folks using lies like credit cards and not realizing that there’s a bill at the end of the month. Of course, when this bill arrives, we want to immediately file for bankruptcy. But some tough love and accountability are the best ways to ensure a successful life-lesson. I usually like to help my clients on taking ownership of the lies, identifying why he/she lied and identifying solutions moving forward. I do not like to focus on the past except to learn from mistakes. Most of my clients aren’t very happy about this, but it is the reality of life. It’s better to learn from a mistake instead of making the same one consistently. I advise the families of my clients to keep a journal of lies. Instead of trying to deal with it in the moment, track these over time. The individual will see how the long-term consequences of lying adds up to bigger problems down the road. Touching the hot stove works. I’m happy you bring it up. That’s right. I never lied though, even if it was hard. I think lying really is not a good option because if we lie, how can we expect other people treat us differently? We have to be fair, at least with people who deserve it. Lying is a poor behavior that everyone engages in. It has absolutely nothing to do with ADHD. That’s just an excuse, and that’s actually worse than lying. The point of my piece wasn’t to defend lying. It was to point out why people with ADD and ADHD lie. But I appreciate your feedback. No one wants to be wrong. So to cover up their forgetfulness, they lie. Going along with the lie instead of pointing it out to them, does not benefit them in the long run. Yes Lin, if they were normal that is true but I find that the closer one gets them to the quite obvious truth (forgot, couldn’t be bothered, deception, laziness, selfishness etc) the more hostile, aggressive and explosive they become. This can take place in under a minute in my experience and the shouting, insults and personal degradation are eventually too much to if one has normal feelings. Calling out someone with impulse control issues is dangerous and does not ultimately work. IMHO only distance does, sadly. I just had an incident with a child who has ADHD and my son who has PDDNOS. They got into an altercation together, and my son immediately ponies up what he did and apologizes. The ADHD kid, denied all of it. Said he never did any of it and blamed the entire thing on my kid. I was not putting up with it, and told him flat out I did not buy his story. I told them BOTH they were equally responsible for the mishap because they BOTH knew it was wrong. The kid just sat there and denied everything, he didn’t do it, it was all my kids fault. I thought to myself, maybe my son is lying. Two other people afterwards told me my son was not lying, that the kid was in fact doing the things my son said he was. My son tells me all the time, that the biggest gripe he has with this kid is that he lies and doesn’t follow the rules. So.. do you have any suggestions on how to deal with this? Thanks for your comment. I always tell my clients that he or she can only control their own actions or responses. I’d tell your son he’s right and even when others don’t take ownership, take pride in being the bigger person. John: I have an 11 1/2 y.o. daughter with ADD. She is the sweetest girl, not a malevolent bone in her body, and yet, she lies alot. We have had conversations about the lying, she has been punished, even rewarded for telling the truth, but still, she’ll lie. Again tonight regarding how much of assigned reading she’d completed for a class. It is frustrating (and hurtful) when your ADD child lies to you. I know and I understand why ADD kids lie, but my girl needs to find a way to tell the truth, consistently. Do you have some tactical advice for a frustrated parent? I worry that this pattern will get her in alot of trouble as an adult, as I know from experience it did with my own husband. Lying and withholding are very corrosive to the trust in work and personal relationships. And will make her academic life harder as well. In the case of your daughter, the message needs to be the same. The only person at the end of the day your lying hurts in yourself. I have a 16 yr old daughter who has been dating a boy with ADD (HD) OCD. He tells her that she is the one person he can talk to and that he doesn’t lie to her about things. However over the last three weeks there have been several occasions when he has made plans with her and then backed out very last minute. Even to the point of saying he is getting ready to head over – only to text her 30 minutes later to say he is really sick. My daughter has talked with him about this and he says that he knew he wasn’t going to be able to come over much earlier in the day and doesn’t know why he handled it that way. He has done similar things on other occasions – says he put his phone away and forgot about it, tells her he will call in 15 minutes – but doesn’t, falls asleep and forgets to call when he says he will. She asked him if lately his ADD is flaring up and he said yes. She asked him if that is why he has been acting differently over the last 3 weeks and he said that is quite possible. We think he is having family and school stress. My daughter says that when they are together they have a wonderful time talking and laughing – but making plans to get together seems difficult. The hardest part is that my daughter thinks it is her – even though he reassures her it is not. How do I help her with this. She insists that she wants to work on this with him and not back out. I am concerned about her. He is creating conflict to avoid conflict. I think this isn’t an issue related to your daughter, but to him having personal concerns. He keeps creating distractions, he avoids the situation. Twenty years ago I had a boss with ADD. I’m now the other side of sixty and my blood pressure still rises when I think about the few years I worked for him. He was younger than me and was a typical ADD boss – disorganized – everything was left to the last minute – everything was a crisis – CONSTANT LYING, exaggerating, embellishing – two faced – you couldn’t tell him anything, he knew it all – if he was stumped, he’d make something up and then change the subject. I only of late realized that he had ADD – like in the last three months. It was a “forehead slapping” moment for me. When I grew up in the 50’s and 60’s, ADD wasn’t heard of. We only had kids that were “naughty”. In the late 70’s we started hearing about hyperactive children and most of the time that resulted from no boundaries and discipline (I’m not talking about punishment – punishment and discipline are two different things) but I digress. He was a textbook case for ADD. He looked like Pavarotti complete with beard, overweight and flamboyant hand movements. Of late I have thought about all the people over the years I have met that had ADD but I didn’t recognize it and all of them to a man was a LIAR. When asked a question that they didn’t know the answer to or had been caught out on whatever matter, they would lie. You could see the cogs turning and the eye movement as they fabricated lies. The people with ADD that I knew, all had good jobs and were in senior positions. They always gave the impression that they were busy – truth be known, they were working twice as much as the normal person because they were so disorganized. Of course, always being late was another favorite. All of them were very charming and charismatic. I thought the other day about the people with ADD that don’t have good jobs – they must really battle and I feel for them as being the boss, everyone has to put up with your behavior. Anyway, I agree with you 100% as I’ve experienced it many times – these people are habitual liars. My wife has ADHD..she lies a lot. I confront her with them and she just walks away or goes into one of her yelling tirades. I’ll have a talk with her about not giving gum to our 2 year old…she’ll agree and when I ask her 10 minutes later if she gave my 2 year old gum she’ll deny it. Then two year old comes to me and announces mommy gave her gum. She agrees to things often, and does the opposite 10 minutes later. She has often said she would get help from a psychiatrist. She will go once, tell me she is still going and then I check the insurance records to see she quit after one time again. I go to one for 15 minutes every month…give her the time…and never see her there. You’ve failed to recognise that people with ADHD are more impulsive and may say something before thinking about what it is, and that thing they say might not be true. They are not purposely lying, but saying something without thinking it through first. This would be perceived as a “lie” in the sense that we see one(being with malintent and to mislead people) when the person might not have even thought through what they said, and may not have taken the time to realise that they were saying wasn’t true. People with ADHD have a hard time controlling impulses, and people with ADD have more of a waundering mind and a forever continuing internal monologue. ADD sand adhd are under the same category in the DSM but manifest different. 100% agree. I used to lie pre-diagnosis but I have completely stopped now. I refuse to be one of those ‘people’ who (annoyingly) always lie. Also: *EVERYONE KNOWS YOU ARE LYING*. I have a handful of adhd-type friends who lie often and I’m pretty much over them. They make up stories & lie to escape blame & accountability.. which is what I used to do. If you are a fully grown adult do not lie; just own it.